Seriously? OMG! WTF?Chuck Lorre Archives - Seriously? OMG! WTF? Up until now, Cheers held the record for the longest-running multicamera (live audience) sitcom in history. 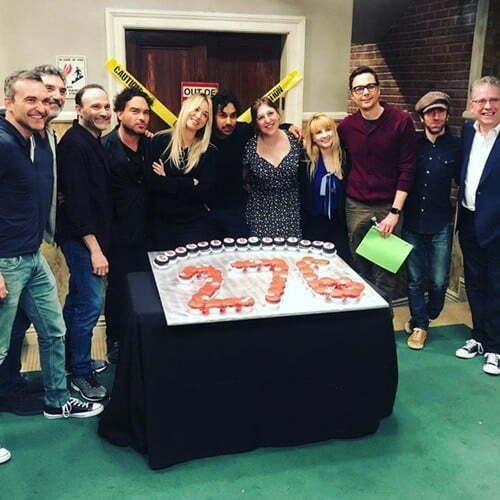 Today, The Big Bang Theory began working in its 276th episode and they are now the title holder. A title I am sure they will be holding for as long as Cheers did, which is 26 years, or maybe longer. I wonder if Jim Parsons knew they would be in the record books when he gave his notice in August? Either way, congrats to TBBT! 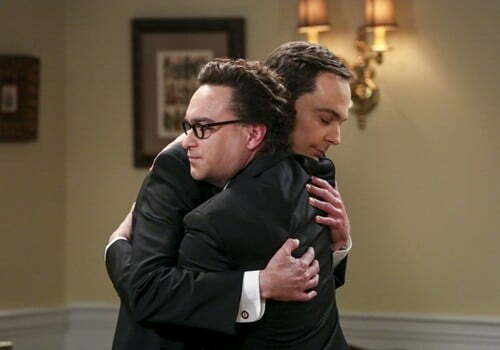 When will we say goodbye to The Big Bang Theory? Ever since CBS announced in August that this will be The Big Bang Theory’s final season, we have wanted to know when that last episode will air. Today, CBS told us that and when their other shows are ending their seasons. To see how much time you have to stock up on tissues, then click here! Bazinga, Young Sheldon renewed for 2 more seasons! Earlier this month, CBS picked up Chuck Lorre’s Mom for 2 more seasons. Today, they did the same with his sweet show Young Sheldon. The spinoff from The Big Bang Theory was picked up for seasons 3 and 4. Is the news a surprise. Not at all. Not only is it doing well in the ratings, but it is also getting better with each episode. I think it will do even better without TBBT being on the air. It does not have to compete with its older self. Now if CBS was smart, they would do a spinoff with Old Missy and Older Georgie. After seeing them on TBBT, I want to know how their lives turned out. Either that or Wil Wheaton’s D&D. How fun was that storyline yesterday? The can switch up famous celebs each week. CBS picked up Mom for not one but two more seasons today. Bringing the Chuck Lorre sitcom’s total to eight seasons. When the show’s female leads Anna Faris, Allison Janney, Mimi Kennedy, Jaime Pressly, Beth Hall and Kristen Johnson heard the news, they had a little party. You just think they could afford something more expensive to eat than a salad. Especially since there is a steak joint right across the street from the studio. BTW out of all of Lorre’s shows, this is the only one I have never watched. Chuck Lorre has given us some of the biggest comedies over the last 30 years: Dharma & Greg, Grace Under Fire, Cybill, Two and a Half Men, The Big Bang Theory, Mike & Molly, Mom and Young Sheldon. That is a lot of funny television. I think all of Lorre’s sitcoms have been leading up to this one show. The show that will finally change the perception that so many people have of him and realize he is one of the greatest executive producers to ever work in television. Now the only thing I want to is will he do Vanity Cards for it? Are Billy Zabka and Ralph Macchio friends in real life? For some reason I am craving a drumstick, a breast and biscuits from KFC! Wasp’s up with this weatherman?